“The heartfulness way” book is a simple and easy to read book on heartfulness meditation and its philosophy. “The heartfulness way” book is a simple and easy to read book on heartfulness meditation and its philosophy. 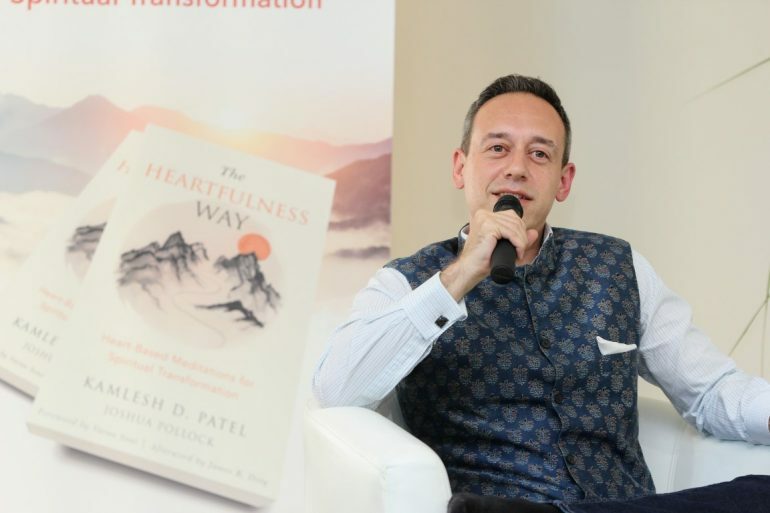 Through a series of conversations, Daaji the fourth guru in the heartfulness tradition reveals to Joshua Pollock, the principles of the heartfulness practice. This book was unveiled by The President of India, Shri Ram Nath Kovind in January this year and the book has become a best seller in Meditation since its release. This book was released in June in North America. Mr. Joshua Pollock, the co-author of the book has been travelling across North America since June, with successful book launch events in 40 cities. Joshua is an accomplished western classical violinist and is heartfulness trainer. 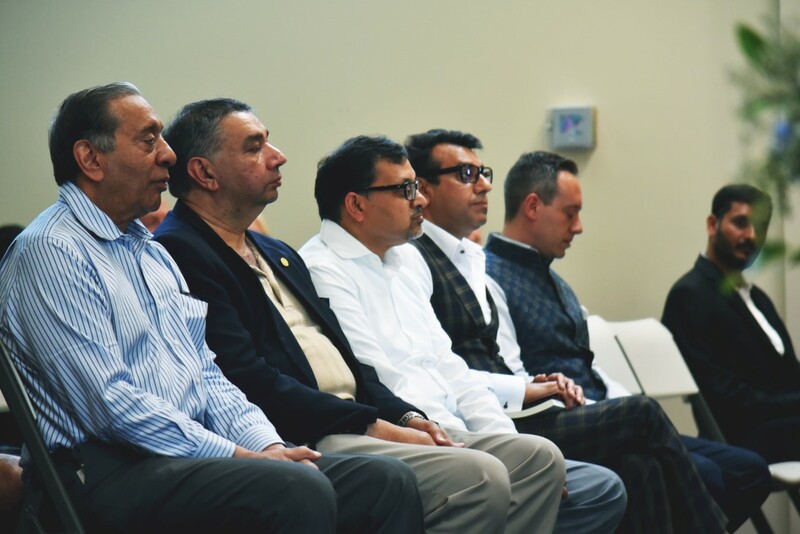 The heartfulness group in Vancouver hosted a free public event in Hindu temple, Burnaby on July 22 2018, as part of this book launch tour. The book was unveiled here in the presence of the distinguished chief guests, The Honourable Wallace T. Oppal (former Attorney General and former Judge), Mr. Aditya Tawatia (President of Indo Canadian-socio economic association), Mr. Dave Hayer (former MLA of Surrey and former politician) and Mr. Parveen Goel (Director of Engineering, Canada Post). 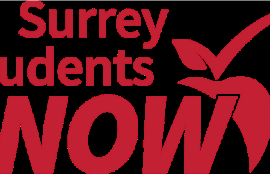 The event was attended by 250 adults and 20 children. 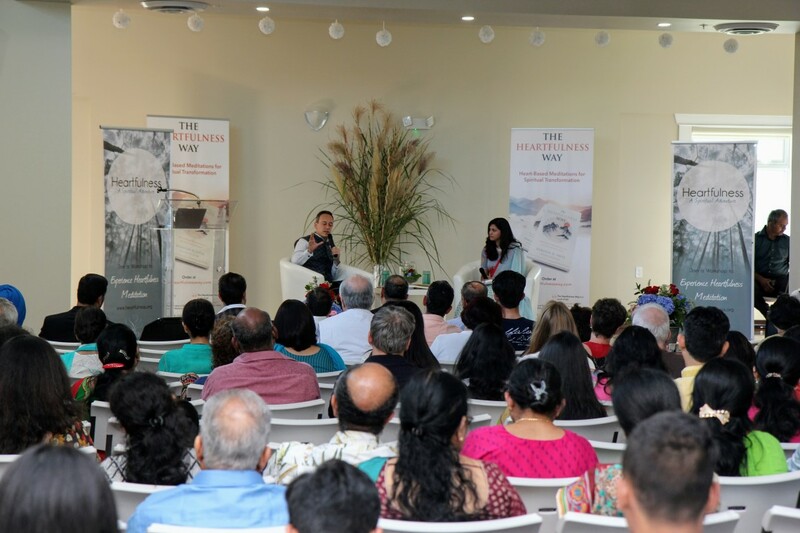 The event featured a thoroughly engaging on-stage interview of Pollock with Mrs. Lakshmi Aravind, Secretary of the heartfulness organisation in Canada. To one of the questions – “What is heartfulness and how would he explain it to the people who are new to this’, Pollock explained: “There are various qualities that are associated with our heart. The most essential quality is Love. There are other qualities like selflessness, compassion, empathy, kindness acceptance etc which transcend culture and are common to humanity. Yet, humanity does not always express these qualities. How to express these qualities in a natural way without forcing ourselves to do it. We need to create silence, balance and stillness to bring out those qualities of the heart which is what being heartful is about. This begins with a simple act of meditation”. The book was subsequently released in the presence of the chief guests. The Hon. 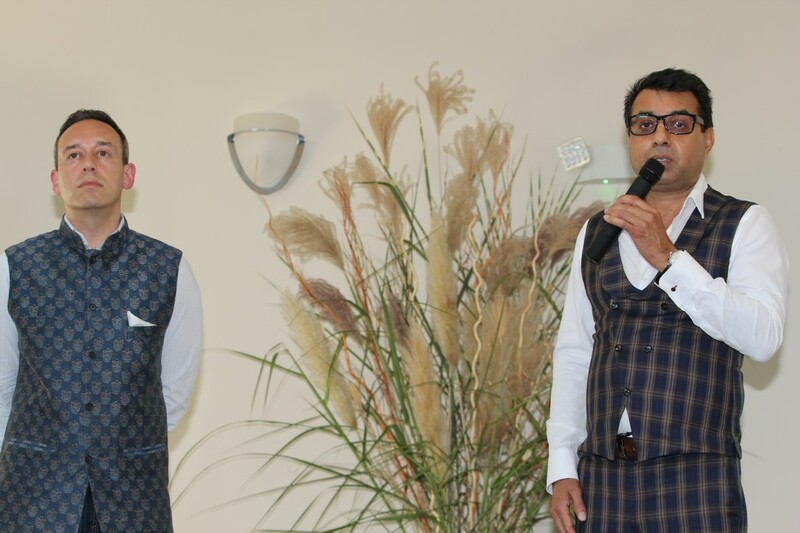 Wally Oppal and Mr. Aditya Tawatia appealed to the audience to seek within, in their short and inspiring speeches. The highlight of the event was an experiential meditation session conducted by Pollock for 15 minutes which helped the attendees savour the condition created by a group meditation. 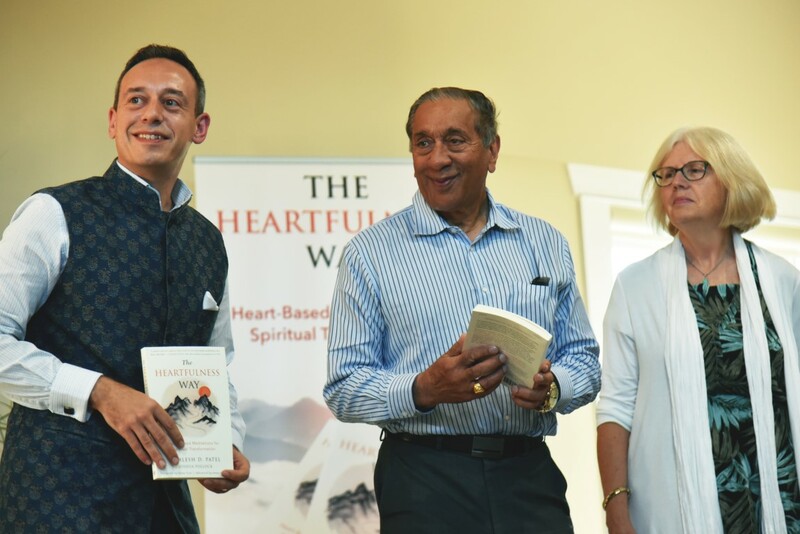 Dr. Aravind Ravindran, Zonal coordinator for heartfulness and a Radiologist in Fraser health, describes this as a unique event where the author himself help the attendees experience something that he was written about in his book. 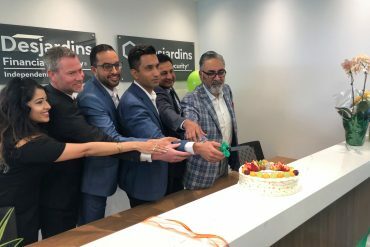 There were numerous positive feedback about the event and one of the attendees commented, “This is the most meaningful event I have attended”. Heartfulness Institute is a global non-profit organization with thousands of volunteer trainers who serve more than a million meditators in over 130 countries. 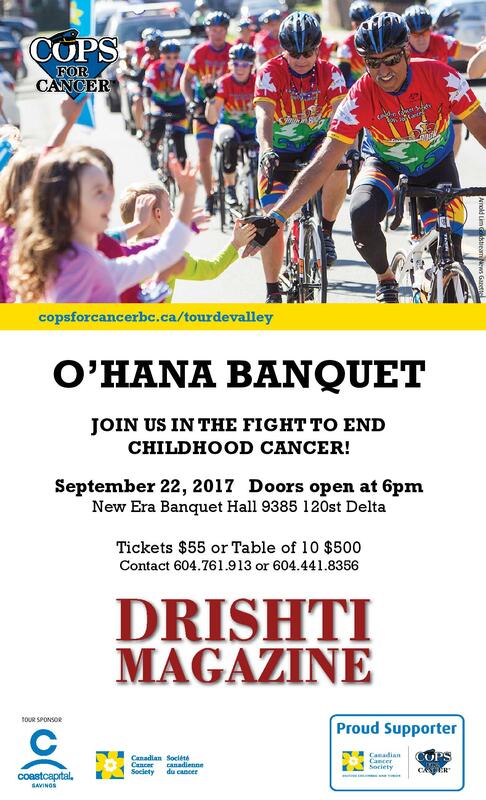 Its mission is to help develop peaceful, healthy and holistically educated individuals and children, families and communities, organizations and businesses, and government organizations, with a spirit of human well-being and oneness. To learn more about heartfulness, please visit heartfulness.org or download “letsmeditate” app. The heartfulness way book is available for purchase in Amazon.ca and Indigo.ca.